Heya guys, most of all indian beauties knows and may be lots of them loves Maybelline Colossal Kajal. Today here i am going to review of Maybelline ‘The Colossal Kajal’. The Maybelline Colossal comes in very bright yellow and black colored carton cover case. Packaging is so cute and easy to use. The kajal is packaged inside the case. 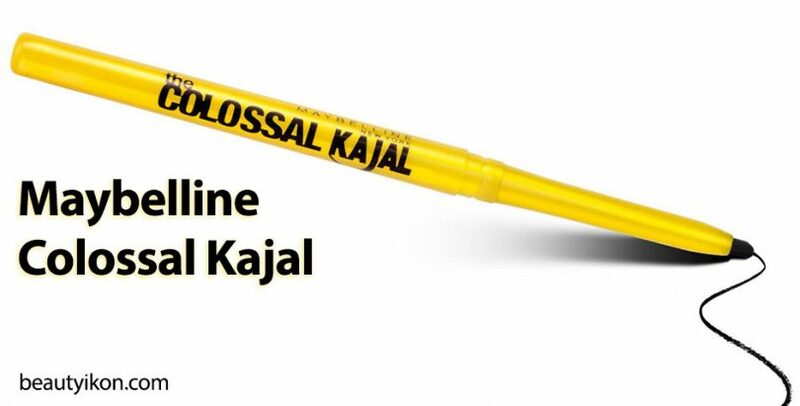 The packaging of the kajal pencil is similar to the color of the outer case. Sold in bright yellow and black color combination, the packaging looks very attractive. The cap shuts perfectly; it doesn’t come undone in my bag, and so, the packaging is travel-friendly. 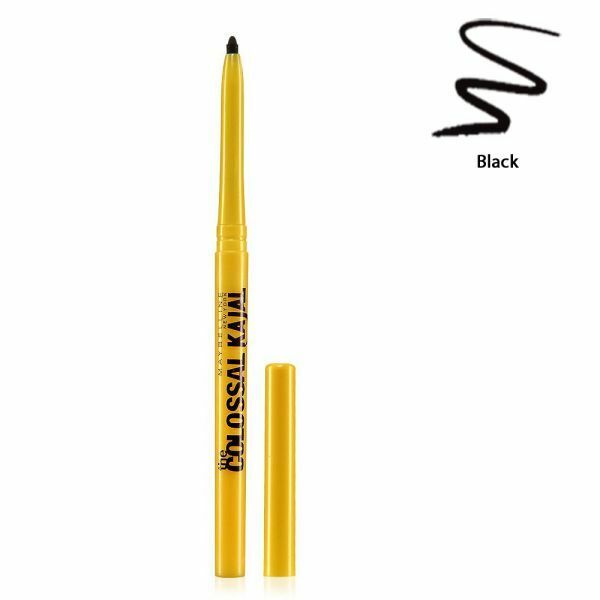 The kajal pencil comes in a retractable pencil form that has to be twisted up for the application. There is no need to sharpen the product. 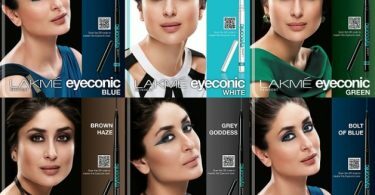 The kajal swivels up and retracts down easily, and there is no difficulty in usage. – Enriched with nourishing ingredients and Vitamin E to soothe the eyes. Texture is so smooth and creamy. it needs to be used very carefully as it tends to break easily if pressure is applied. The pigmentation is pretty good. However, you need to layer it at least twice or thrice to get good color pay off. 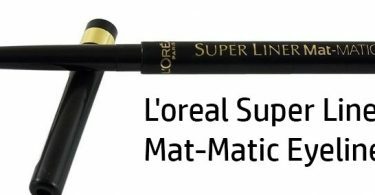 I really like the color – it instantly adds brightness to my eyes.The kajal have a nice matte finish within a few seconds of application. It has good long lasting power. It stayed for 10 hours for me. Yes, I would definitely buy it again! And, I have black and green. I highly recommend it to everyone. Overall, this product is really amazing.